Sports injuries, are the worst things that can happen in an athlete’s life. When it comes to injuries of this nature, not all are created equal. In some cases, serious injuries can affect you for your entire life. 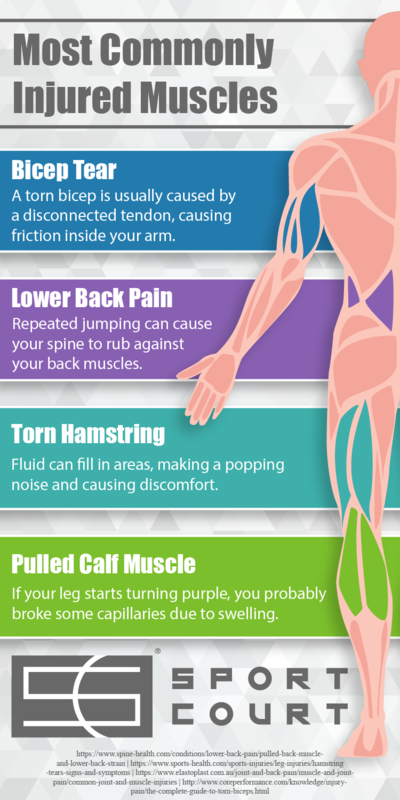 That’s why it’s good to know about common injuries that can be sustained from playing a sport. Injuries sustained on your home basketball court will be less extreme due to the modular flooring you’re playing on. As with all sports, it’s important to stretch, and be mindful of how you are playing—even if it’s just during practice. For a professional athlete, a muscle injury can ruin their season. Knowledge of these moments can be the best prevention tool in your belt.